Convenient parking is available in Beverly Hills at the parking locations listed. Click on the location address to obtain details including valet and self-parking options, rates, hours and directions. 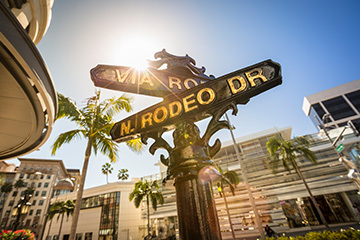 Beverly Hills, sometimes referred to as "90210" after one of its primary ZIP codes, is home to many restaurants, high-end shops, and the popular Rodeo Drive shopping district.